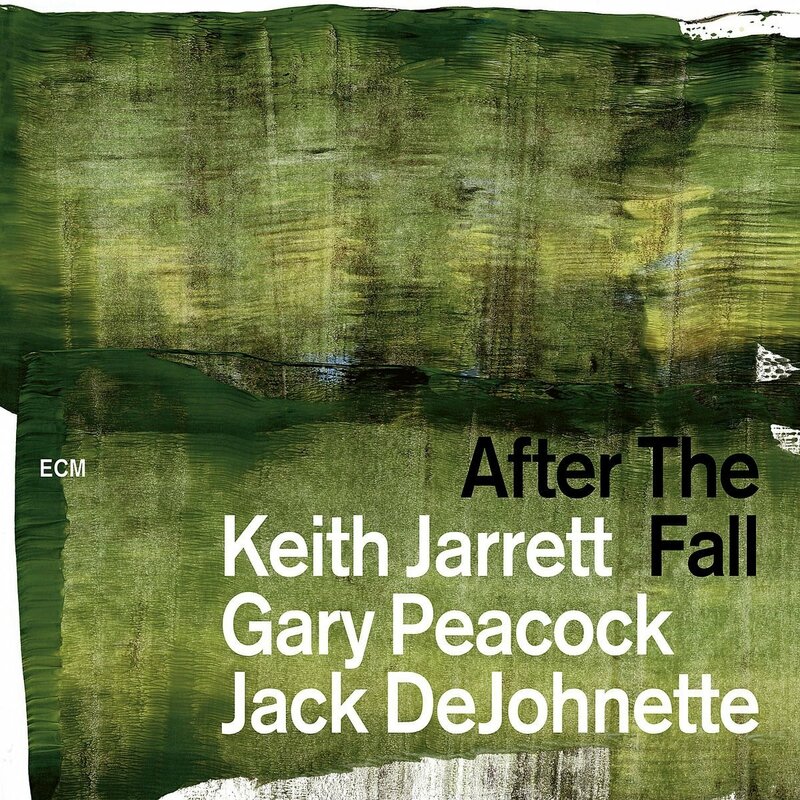 ECM’s new release, After The Fall, features a live performance from a 1998 concert by world renowned jazz pianist, Keith Jarrett—his first time on stage following a two year hiatus. Recorded at a concert hall in Newark, New Jersey, Jarrett is accompanied by fellow members of the Standards Trio: double-bassist Gary Peacock and drummer Jack DeJohnette. This album captures their musical interactions and overall chemistry of the Standards Trio. As listeners, we are treated to renditions of well-known bebop standards such as “Scrapple From The Apple” and “Bouncin’ With Bud,” as well as selections from the American Songbook including “The Masquerade Is Over” and “I’ll See You Again,” among others. The trio paces themselves during this performance, but there is still a simmering intensity and synergy that is heard throughout the entire album. 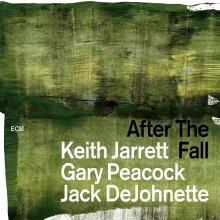 From Jarrett’s lush harmonies and virtuosic melodic lines to DeJohnette’s light touch and rhythmic devices, coupled with Peacock’s supportive bass lines and warm tone, the expressive sound of the trio is on full display. A notable mention is the trio’s performance of John Coltrane’s “Moments Notice.” On this tune, Jarrett stretches out, demonstrating his pianistic capabilities and command of the jazz vocabulary, and is followed by a high-energy and syncopated drum solo by DeJohnette. Another highlight is Jarrett’s lyrical interpretation of the melody to Victor Young and Edward Heyman’s composition, “When I Fall In Love,” while being supported by the sensitive accompaniment of Peacock and DeJohnette. After The Fall, although referred to as an “experiment” by Jarrett, is in this reviewer’s opinion a demonstration of the effortless mastery, maturity, and professionalism of seasoned musicians who are not only pillars of jazz today, but also bearers of the jazz tradition. This entry was posted in Jazz and tagged 2018, 2018 music, 2018 music review, After The Fall, CD review, ECM, Gary Peacock, Jack DeJohnette, Jamaal Baptiste, Jazz, Keith Jarrett, Standards Trio by aaamc. Bookmark the permalink.